And to cool down, check out Knott’s Soak City Water Park! Fun is always in season at Knott’s Berry Farm! With dozens of rides, shows and attractions in five themed areas, there is something for everyone at Knott’s. Take a journey through the newly refurbished Calico Mine Ride or stroll the streets of the Old West Ghost Town® where you’ll meet its many residents – but look out for bandits! Knott’s Berry Farm Buena Park will welcome HangTime, the first and only dive coaster in California. HangTime will tower 150 feet over the Boardwalk area showcasing a beyond vertical drop, gravity-defying inversions, and mid-air suspensions. 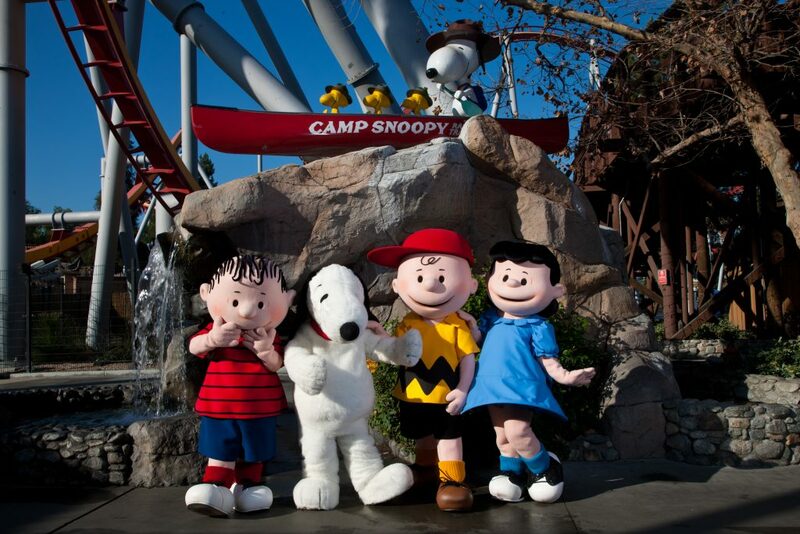 You can also hang with the PEANUTS gang in a fresh Camp Snoopy, the land of high sierra fun, complete with three new rides! Knott’s Berry Farm is focused on giving guests an authentic, time-honored experience where fun is fun and a great value for the whole family. Experience the old west town in a whole new way during Ghost Town Alive! Travel back in time to the boomtown of Calico and meet the lively town folk. Participate in daily activities and shape the events that unfold, like pledging one’s allegiance to notorious bandits or saving the day alongside courageous cowboys! And every evening, the day culminates with a town-wide hoedown celebration of Calico. Ghost Town Alive! runs during the summer, only at Knott’s Berry Farm.